Brenden Scott French has earned a reputation as one of Australia’s most innovative and thought-provoking glass artists. His sculptural forms and wall pieces make a radical shift away from the delicacy and transparency of glass – instead they exhibit a unique density and opacity of colour. The striking pattern and form developed in the artworks reflect a deep exploration of this rich and versatile material. Brenden’s graphic panel works arise from a kilnforming process where blocks of coloured glass are composed in layers to form spontaneous, yet harmonious, colour relationships. 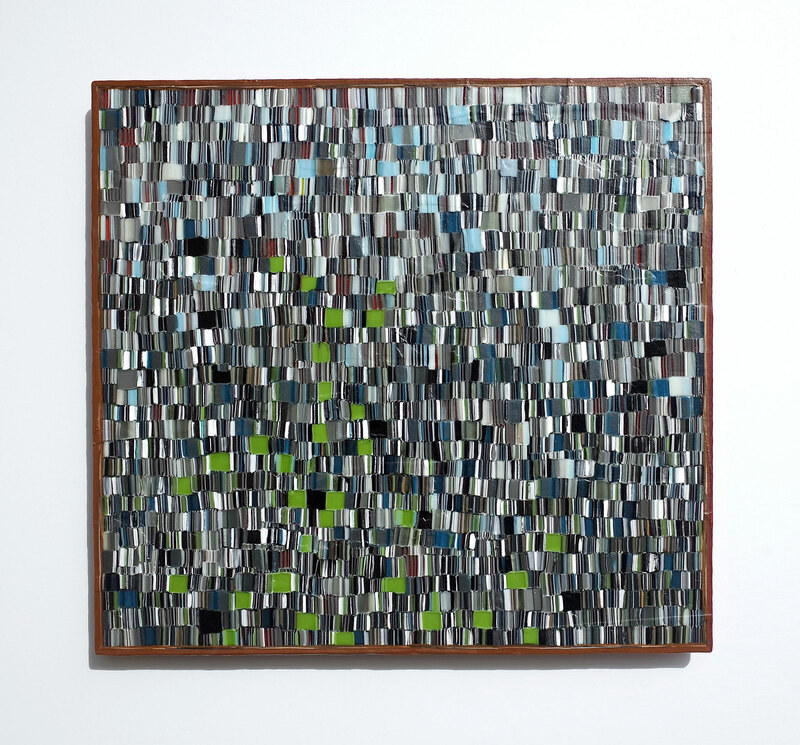 He describes this act as “a labour of assemblage”, slowly revealing an unfolding narrative that celebrates the passage of time during the creation of the works. Complex visceral surfaces are built using the distinct technique of pâte de verre and murrine roll-up. Here, a panel is constructed using fused granules or cut rods of glass, giving Brenden the ability to generate subtle painterly qualities. Once heated, the sheets of glass can be rolled, blown and shaped to form intricate vessels. Brenden’s recent residency in the western ridge of the Barossa Valley, South Australia, brought inspiration for a body of work exploring both the external environment and his internal psychological narrative. Colour and form in the artworks play with ideas of the interior and exterior, organic and geometric, ultimately questioning our individual, as well as collective, relationship with the environment. Brenden has trained extensively in glass practice, completing a Bachelor of Visual Arts at the Sydney College of the Arts in 1997 and a Bachelor of Art with Honours at the Canberra School of Art in 2003. Brenden has undertaken residencies at the Canberra Glassworks, University of South Australia and the Northlands Creative Glass Centre in Scotland. He has received numerous awards including the Ian Potter Cultural Trust Award (2001), the Lino Tagliapietra International Scholarship to study at the Pilchuck Glass School in Seattle (2001) and the Stephen Procter Fellowship (2007). Brenden’s work is in several collections including Artbank and Bullseye Glass Collection, USA.